Welcome to Day 1 of my Halloween series! All week, I’ll be posting tasty treats, perfect for your Halloween party needs! No costume required, just sit back, relax and let the treats come to you. These are the perfect treat to bring to bring to your boss’s Halloween potluck party. Their tiny size makes them easy to fit on plates already piled with food and lessens the guilt of eating three in a row, you can make tons of mini cupcakes with a regular amount of batter, and with a simple garnish they lend a sophistication that says “Why yes, Mr. Robinson, I can get you that report you’re demanding in 20 minutes while still maintaining my perfectly calm outward appearance, and please remember these delicious cupcakes when you consider my raise. I had never made mini cupcakes before, but I do own a mini cupcake pan; the result of my wild fantasies about seas of adorably frosted mini cupcakes while at a Pampered Chef party. It had been sitting in the back of my cupboard for quite some time, so I figured it was time for a test run! And oh boy, am I ever glad I have that mini cupcake pan now! Mini cupcakes are almost easier to make than their big sisters. They have a shorter baking time, you can fit 24 of these little babies in a pan and your frosting time is cut in half! I would seriously recommend investing in a mini cupcake pan, if for no other reason than they put a fresh twist on a potluck staple. Mix the first six ingredients together in a bowl and set aside. 3. 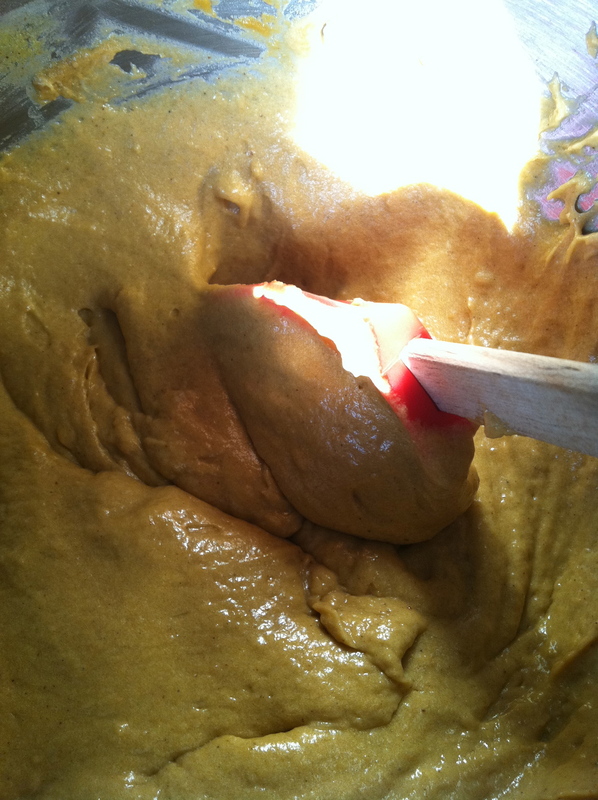 Cream the butter in an electric mixer and slowly add the sugar until fully combined. 4. Add the buttermilk, egg, sweet potato and vanilla to the butter mixture and beat until combined. Be careful not to over mix! 5. 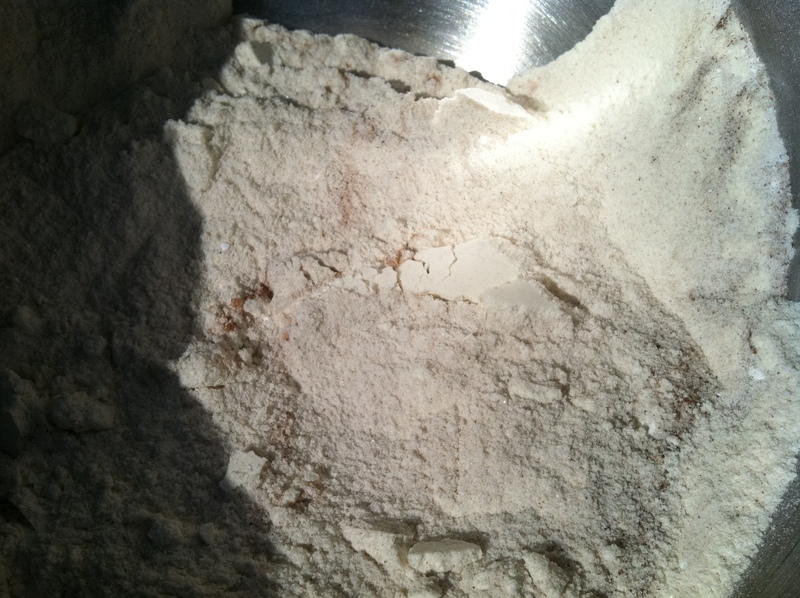 Add the flour mixture in batches and mix until there are no lumps in the batter, but again, be careful not to over mix. You’ll get adorable little cupcake shaped rocks instead of adorable little cupcakes. 6. Once the batter is mixed, line your mini cupcake pan with mini cupcake liners and use a small ice-cream scoop to fill each cup 2/3 full. 7. 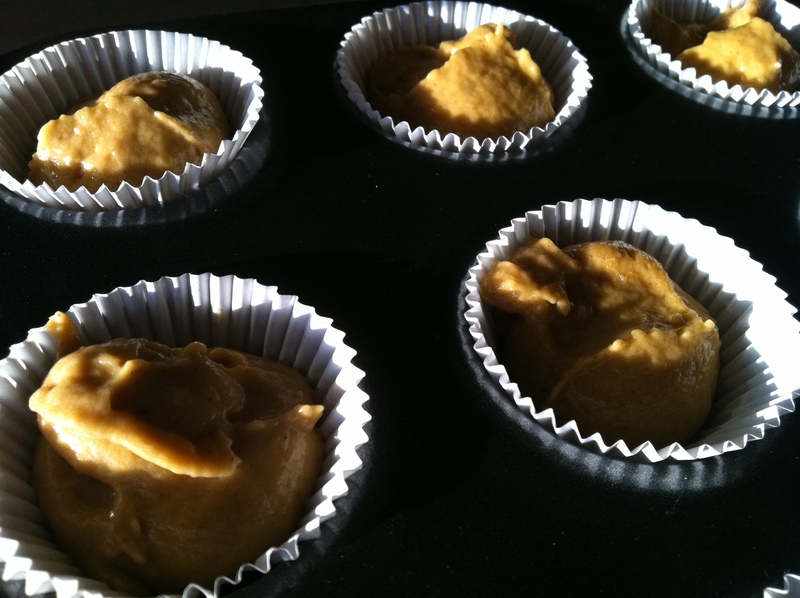 Bake in the oven for 11 minutes, or until a toothpick inserted into the center of the cupcakes comes out clean. 8. Take out your cakes and let them cool to room temperature before frosting. While you’re waiting is the perfect time to make that frosting! Cream the butter in a bowl with an electric mixer. Use the whisk attachment if you have one. Add the vanilla and beat to combine. Slowly add the sugar. Note: I usually use a rough ratio of 1:1 for my butter and powdered sugar (1 stick to 1 cup). Feel free to adjust for your desired level of stiffness and sweetness. Add the maple syrup a tablespoon at a time, beating throughly after each addition. Feel free to sample the batch after each tablespoon until you get the desired strength of mapley-ness! Secret Tip: Spoon the frosting into a zip lock bag. Squeeze the air out, seal the bag, snip off one corner and use that as a piping bag to get perfectly swirled frosting on your cupcakes. 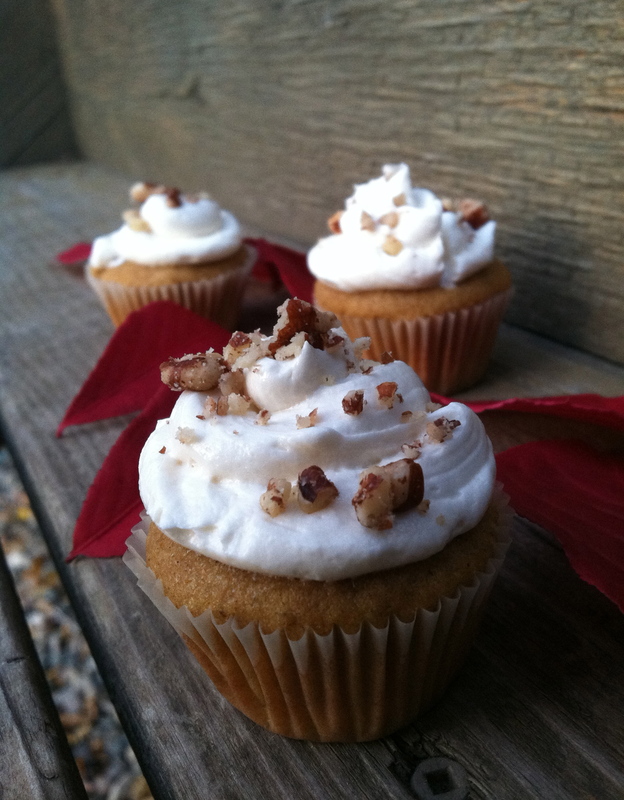 Crush some pecans and sprinkle them over your frosted cupcakes. This is totally optional, but it does look pretty and adds a nice salty note to counteract the sweetness of the frosting. Watch your little creations disappear! This entry was posted in Uncategorized and tagged Buttercream, Cupcakes, Desserts, Fall Baking, Halloween, Maple, Mini Cupcakes, Pecans, Sweet Potato by theculinarycapers. Bookmark the permalink.